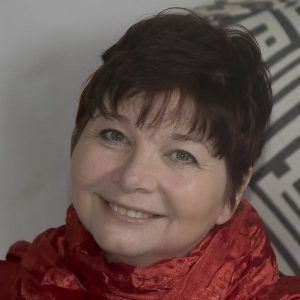 Author Mindy Tarquini spends her time creating and crafting new worlds in which all things, good, evil, and quirky are possible. Fans of Paulo Coehlo and Neil Gaiman will revel in this magical tale. My latest release is Deepest Blue (Sparkpress 2018). The story is set in a fairytale land where everyone’s destinies are predetermined, until one young man decides to seek a life of his own. I am leaving fairyland for a while to return to the county of humorous contemporary fiction. The story is set in Arizona, the time-traveling is sublime. Learn story structure, and use it. A great story needs a great structure or it is just a series of events. No, I have worn many hats. From restaurant to retail to accounting to allied healthcare, it wasn’t until I had my mom-hat on that I truly began to write. I hurt my back, which meant that there wasn’t much else to do except hang out on the internet and search the pain forums for ideas on how to alleviate the constant ache. I ended up chatting with someone who was a writer. She invited me to a writer’s forum where people exchanged stories. There, I made a couple of friends whom I still consider to be among my closest. We don’t exchange stories so much anymore, but we do love to laugh. Claudio from Deepest Blue. He’s a cleric, which makes him the man who knows everything but can’t say any of it. At home with my dog. Punctuation makes her happy. The land of “what-if” inspires me. I see something, I go to the land of “what-if”, and all kinds of wondrous things happen. I’m always breaking the rules that I set for my characters. Who actually likes wearing pants? As my daughter says, “comfy pants or bust”. As for writing- I’ve never met an outline that couldn’t be expanded. I used to sacrifice a blue bird or two, but the neighbors complained to the HOA. Plotting the next one. There’s no time once you get on this publishing rollercoaster. Like…none. 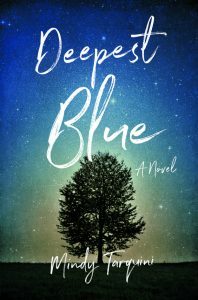 Read more about Deepest Blue. In an enchanted city seen only at twilight, a resentful second son unlocks secrets which could cause his world’s star to finally set. In Panduri, everyone’s path is mapped, everyone’s destiny decided, their lives charted at birth and steered by an unwavering star. Everyone has his place, and Matteo, second son of Panduri’s duca, is eager to take up his as Legendary Protector–at the border and out from under his father’s domineering thumb. Then Matteo’s older brother pulls rank and heads to the border in his stead, leaving Panduri’s orbit in a spiral and Matteo’s course on a skid. Forced to follow an unexpected path, resentful and raw, Matteo is determined to rise, to pursue the one future Panduri’s star can never chart: a life of his own. Brigadoon meets Pippin in this quirky tale of grief steeped deep in Italian folklore and shimmering with hope–to remember what helps, forget what hurts, and give what remains permission to soar. Mindy Tarquini grew up convinced that there are other worlds just one giant step to the left of where she’s standing. Author of the critically acclaimed and award-winning Hindsight (SparkPress 2016) and The Infinite Now(SparkPress 2017), Tarquini’s writing has appeared in Writer’s Digest, BookPage, Hypable, and other venues. An associate editor on the Lascaux Review and a member of the Perley Station Writers Colony, Tarquini is a second-generation Italian American who believes words have power. She plies hers to the best of her ability from an enchanted tower a giant step left in the great Southwest.